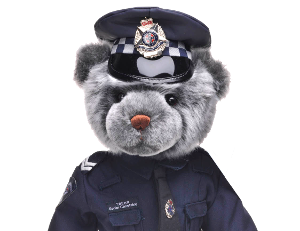 The community of Bendigo have been supporting the Victoria Police Blue Ribbon Foundation since its formation in 1988 and the Regional Branch has staged some spectacular events including basketball games, football matches and Mayoral Balls to raise funds for the Bendigo Hospital. The Bendigo committee is served by dedicated volunteers and have the support of many local businesses and organisations. New members and volunteers are always welcome. By working with the Bendigo community the Branch has been able to provide a state of the art emergency department named in memory of Constables Steven Tynan & Damian Eyre, an Intensive Care Room named in memory of Senior Constable Norm Curson, regular program of scholarship grants to nurses in the hospital’s emergency department and most recently a Patient Transition Unit at Inglewood Hospital named in memory of Constable Charles Hornibrook who died in the line of duty at Rheola in 1902.